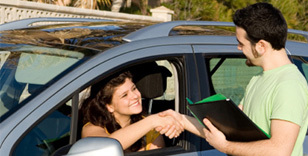 Detailed information and reviews of US companies offering cheap car rental services. Post your requirements and receive no obligation price estimates for car hire deals. Vacation August 24 to September 4th local driving - Sedan or minivan per day or two weeks. What are discounts Triple A? Minivan rental - Minivan rental for 1 week unlimited mileage 5 August to 12 August. Family vacation trip - Full sized minivan, pick up Friday, August 5, 2014 and return Monday, August 15, 2014 to the same location.. Need to move fast - Need a small pick up truck or van to do a one way travel to Denver Colorado from Thursday the 21st to Saturday the 22nd of July.